TME is owned and operated by Dan Gorriaran, an accomplished businessman who has over thirty years of experience in manufacturing. His wife and co-owner Cindy Gorriaran is a graphic artist and marketing professional. Together they work to provide top quality flags, utilizing high integrity manufacturing standards. In alignment with the company’s founder and friend Peter Orenski they provide flags that honor and respect the Tribes, Countries, States, Organizations, and Communities for which they represent. 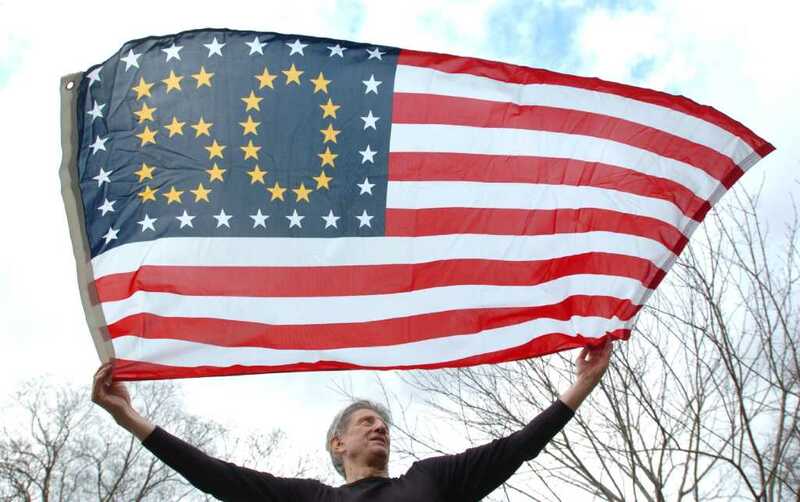 Based on a love for flags, Peter Orenski started the company TME In 1990. Flags were not only Peter’s livelihood, but they were also his passion. At a young age, Peter was strongly influenced by the powerful symbolism of flags. In his homeland, an American flag was contraband, and one could be arrested for even gazing too long at the flag waving outside the American embassy. He was born in Eastern Europe, spoke six languages lived in many parts of the world and one thing for sure, everywhere his paths took him, no flag was ever left unnoticed. When Peter became aware that not every Native American Tribe had their own flag, he made it his mission to change that. In his town in New Milford, Connecticut he was known as FlagMan and to his Native American friends, he was known as FlagDancer.